Without engineering construction we would have no heat to warm our homes, clean water to drink or petrol to fill our cars. A job in the engineering construction industry means you are involved in the design, construction and maintenance of process plants responsible for production of oil, gas, water and food, and power generation. The ECITB is an arms-length Government body that works to attract, recruit and train the highly skilled workforce required by industry. Our research shows that engineering construction companies will recruit staff for an extra 33,000 jobs by 2026. Whether you are a young person just embarking on a career from school or university, or already in employment in a engineering role, there are plenty of opportunities to build a successful and rewarding career in engineering construction. Click here to use our guide to careers in engineering construction. A careers resource led by the engineering community for young people aged between 9 – 16, their teachers and parents. This is Engineering is a campaign to bring engineering to life for young people, and give more people the opportunity to pursue a career that is rewarding, future-shaping, varied, well-paid and in-demand. 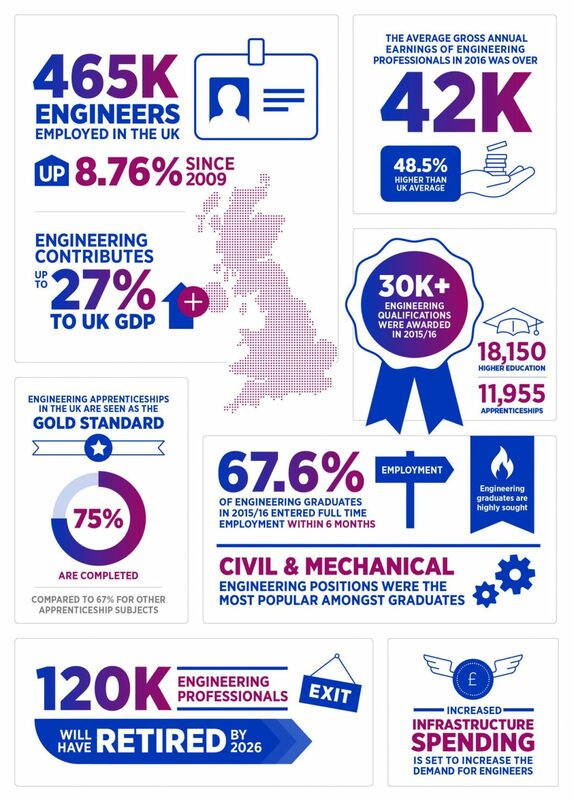 AFBE-UK promotes higher achievements in education and engineering particularly among people from black and minority ethnicity (BME) backgrounds. Wise works to increase the participation, contribution and success of women in science, technology, engineering and mathematics (STEM).